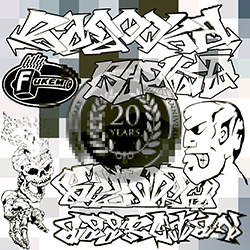 Tracks from Shockwave and Fukem now Digital available. is uploaded and can be found in the 'Audio Section'! Dubstep, now this is the first Album Release available ever and this is a big 6 Albums Online Release. The 15 Years of Bazooka Series. It contains released and unreleased Material, Remixes and Originals. Split into different Genres and Times Series. INFO: Navigate through the little yellow Squares under the banner on top.